I’m from Nebraska. I first came to Ecuador 30 years ago as an undergraduate student. Fourteen years ago I came back to live here, and I’ve been here ever since. I’m in the golf business. I own pro shops here in Ecuador, and I’m the Titleist distributor. How can I help you understand all that Ecuador has to offer and why I’ve been so happy I’ve made my home here all these years? When I first came to this country as a 19 year old, I spent seven months working as an intern. That was a lot of fun. 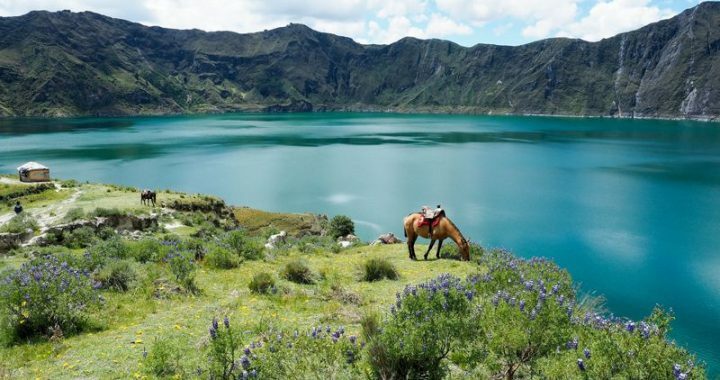 There are all sorts of activities and outdoor things to do here in Ecuador. Ecuador is about as different from Nebraska as you can get. Everything I encountered and experienced way back then as a young girl was new and exciting. Right now it’s fall in Nebraska. While fall is a beautiful time of year, it’s also a sad time because it signifies the end of the growing season. We don’t have that here. The growing season is continual. As a kid, I knew what a poinsettia was. It came in a pot, and you bought it at Christmas time. Here poinsettias are trees. Impatiens, which were annuals back in Nebraska, grow to be bushes here. I have a house with a yard and a gardener to take care of it, but I’m a Nebraskan. My parents taught me to mow the lawn. My neighbors all think I’m a gringita loca because I like to mow my lawn. They don’t know what to make of it. The gardeners here pick something and stick it in the ground and, wow, it grows! There’s joy in that. We tend to throw around the word “fantastic” to the point where it ceases to have meaning. Fair enough. We should use it only when it really applies. “Fantastic” means extraordinary. I travel with some frequency to Ecuador’s three major cities to try to stay on top of my businesses. On any given flight you can have a fantastic experience just looking out the plane window. The Andes… the volcanoes… these are fantastic sights. One time in Baños, a little town with hot springs, our guide told us to go across the river and up the mountain and wait. At around 4:30 to 5 p.m., our guide told us, the clouds will part. So we went, and we waited, and, just as the guide had promised, the clouds parted… and there was the volcano. Not only that, but we could feel it rumble. Definitely not Nebraska. Now we get to the reality of living in a place that is not your home. After living here for nearly 15 years, I still have to remind myself not to become the person who thinks everything in the United States is turnkey, perfect, and efficient and then is unhappy because that’s not how things are here in Ecuador. Banco Pichincha is one of the largest banks in this country, and nearly everyone has an account there. On the 15th and the 30th of each month, there is a line like you would find at Disney World for their most popular ride that just snakes around and around outside the door of every Banco Pichincha branch. That’s because everyone just got paid and is waiting in line to cash their paychecks. For me as a business owner, this can create huge frustrations. I can have to wait in line hours to make a simple deposit. But what are you going to do? Nothing. You just have to roll with it. I finally went by myself, said a prayer outside the building, and they took my application. As I said, you’ve just gotta roll with it… all of it. This has to do with expectations and attitudes going into a new experience. If you expect that living in another country will be like a U.S. experience only in a different place, you’ll struggle. But if you go into it with the attitude “I’m gonna roll with whatever challenges come” and keep your mind flexible with a capital F, you’ll be more likely to enjoy your experience. 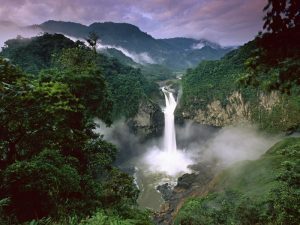 Posted in Live And Invest Overseas Confidential and tagged Ecuador, Expat Living.